Who murdered Celebrity Chef Basturdly? 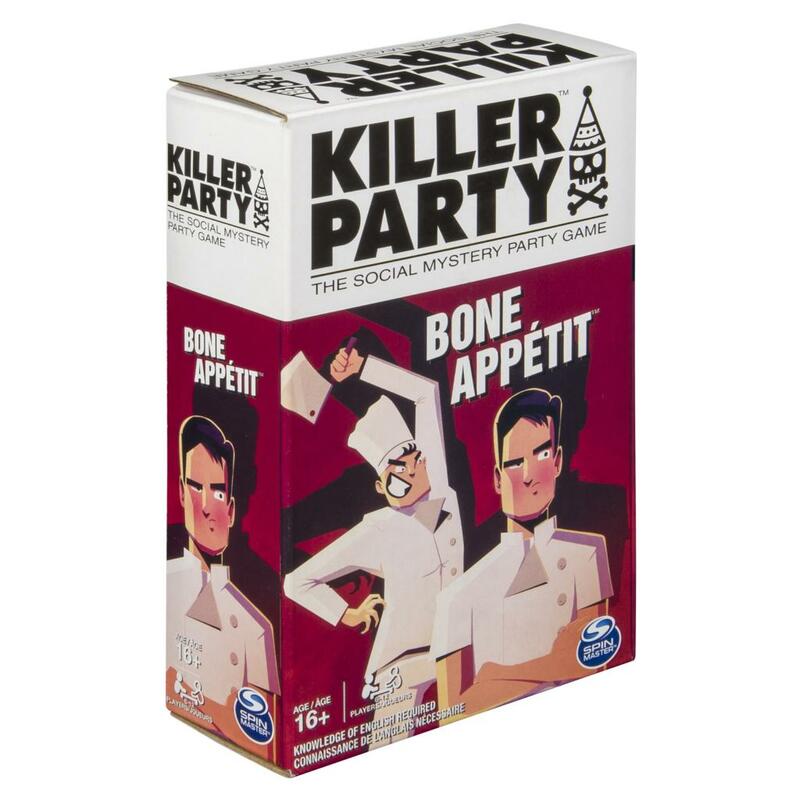 Compete against your friends to solve a culinary crime in Killer Party’s Bone Appétit! Six to twelve amateur sleuths can play this whodunit party game. 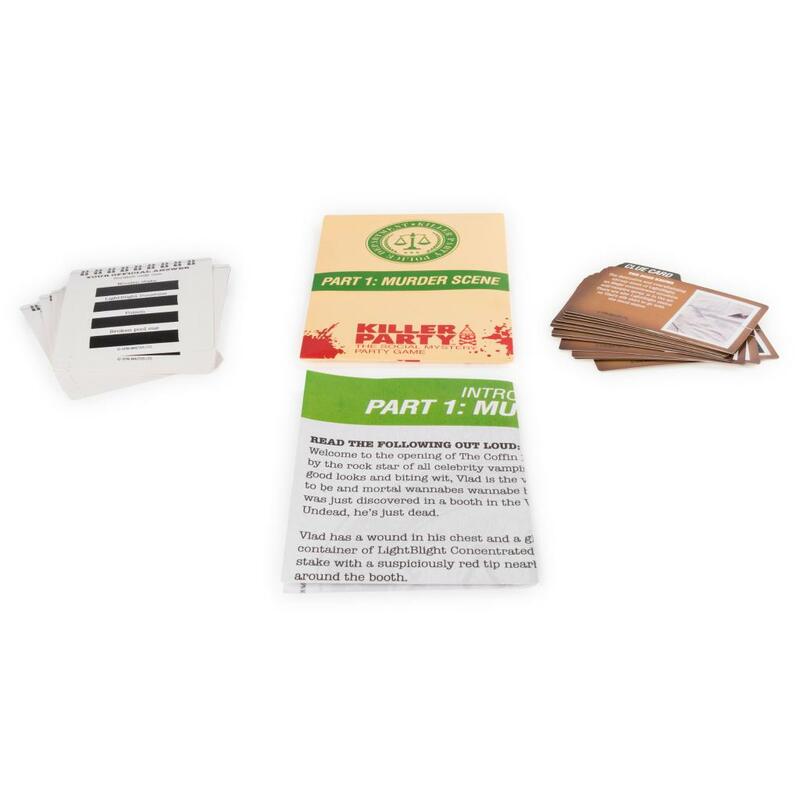 To crack the case, collect Clue Cards and use your deductive skills to piece together the events of the crime. But there’s one catch: the only way to get a Clue Card is by performing a crazy stunt! What will you do to get a clue? You and your fellow detectives work your way through three envelopes, until someone solves the case! 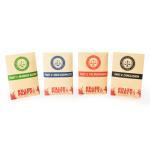 Sure to get increasingly wacky and hilarious, Killer Party is equal parts fun and challenging! You must use your deductive reasoning and strategic thinking in order to score points and find Chef Basturdly’s killer! At the end of the game, the player with the most points wins! In the event of a tie, you’ll have to take on another mystery – like Killer Party’s Kiss of Death! Will you be the one to crack the case? Test your sleuthing skills with Killer Party’s Bone Appétit: the social mystery party game! WHODUNIT PARTY GAME: Who killed Chef Basturdly? Round up your fellow amateur sleuths and compete to solve this thrilling whodunit social mystery party game! 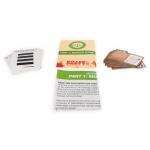 RACE TO SOLVE THE CASE: At the end of the game, the player with the most points wins! 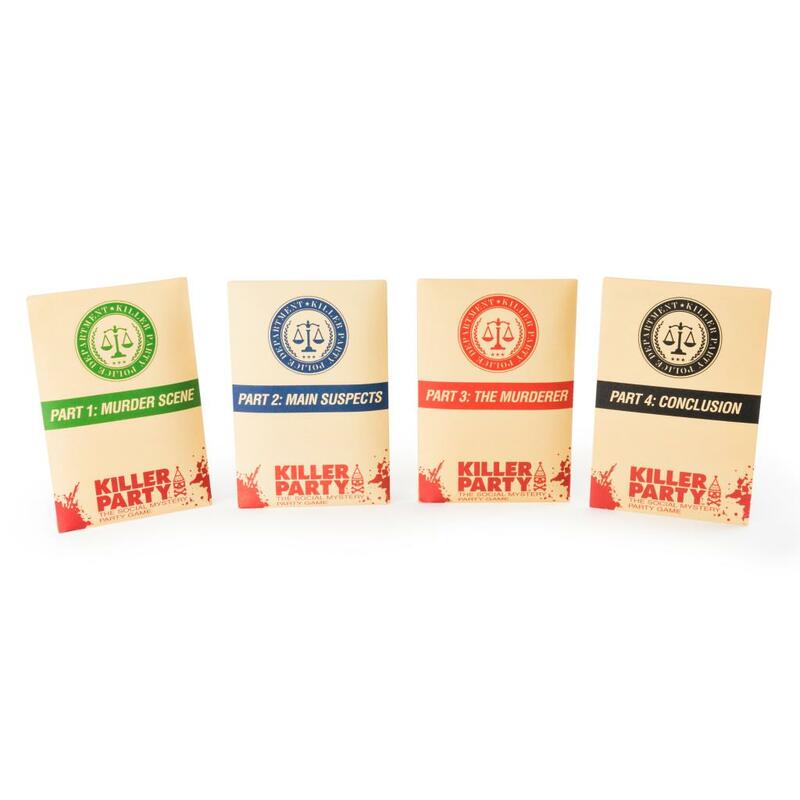 In the event of a tie, simply move onto the next mystery: Killer Party’s Kiss of Death! 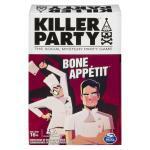 Killer Party Bone Appétit is a social mystery party game for teens and adults aged 16+. For 6-12 players. Games run between 30-60 minutes.